Established in 1964 by Australian financier, businessman and philanthropist, Sir Ian Potter, the Ian Potter Foundation is a major Australian philanthropic foundation that supports and promotes excellence and innovation. The Foundation’s 50th Anniversary represented a significant milestone and an important opportunity to celebrate and reflect on the contribution its grants have made to Australian society since 1964. At the same time, it offered a chance to look to the future and consider the next 50 years, to imagine and shape a platform for growth that will adapt to fit the changing landscape of work still to be one, and the legacy this will build for generations to come. The foundation wanted to commemorate fifty successful years of Ian Potter Foundation philanthropy, raise awareness of its work and its important – in some cases catalytic – contributions to our community and society, strengthen the Foundation’s national presence and promote greater awareness beyond Victoria, reflect on the impact of past grants and look to the future. 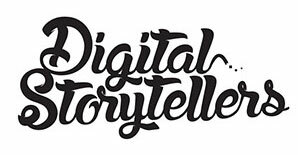 Digital Storytellers created a story to reflect this, for use at the Anniversary Celebrations and beyond.